Yorba Linda, California (April 21st, 2014) – The championship-winning performance experts at Jackson Racing are proud to announce their new Engine Oil Cooler Kit for the Scion FR-S & Subaru BRZ is now available from $697.45USD. An engine oil cooler is a must have for any track or hot climate vehicle. The FA20 engine in the FR-S/BRZ is a finely tuned high compression engine and engine oil temperatures can spike to dangerous levels even on stock cars. The Jackson Racing Engine Oil Cooler Kit was developed in-house and designed to bring optimal oil cooling to the FA20 engine. The included engine oil cooler core has been put to the test on the street and track on the Jackson Racing FR-S test mule for thousands of miles, in the cold and the heat. 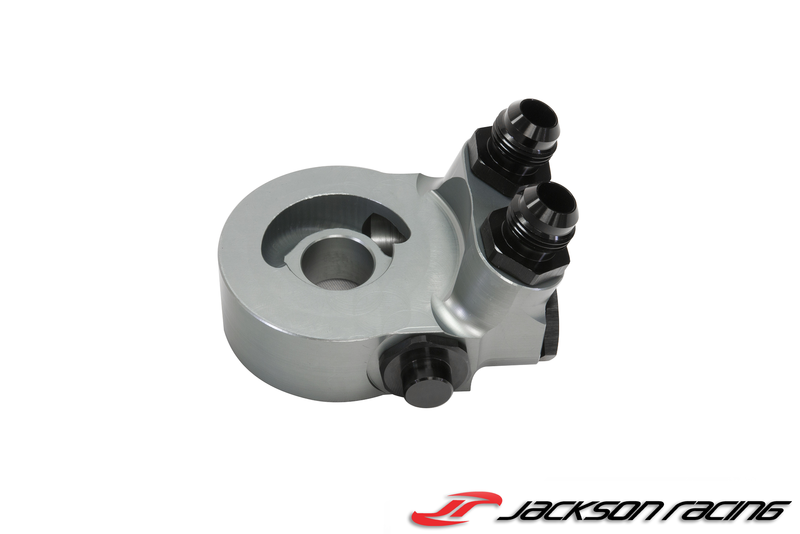 The Jackson Racing Engine Oil Cooler Kit not only had to hold up to day to day driving, but also 100ºF track use by championship-winning racing drivers. We are proud to say this system works flawlessly, keeping oil temperatures below 240ºF on track, thus maintaining engine performance throughout on-track sessions. 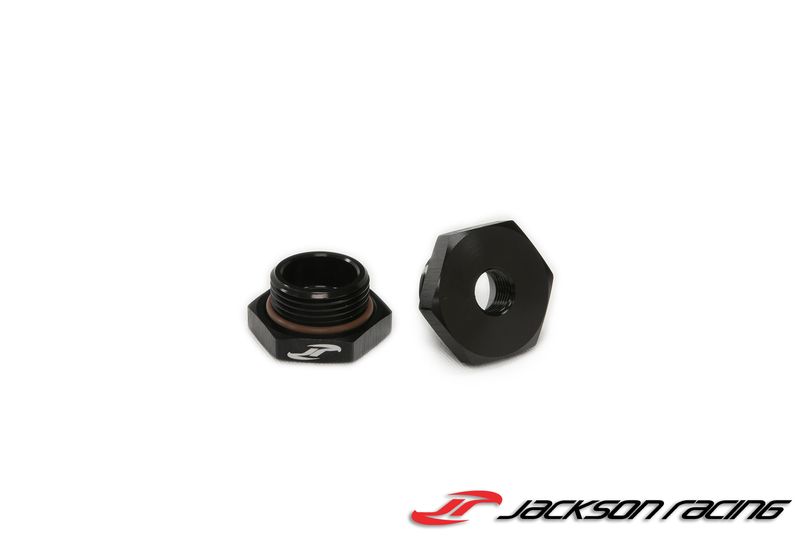 Q: Is this compatible with my Jackson Racing supercharged FR-S/BRZ? 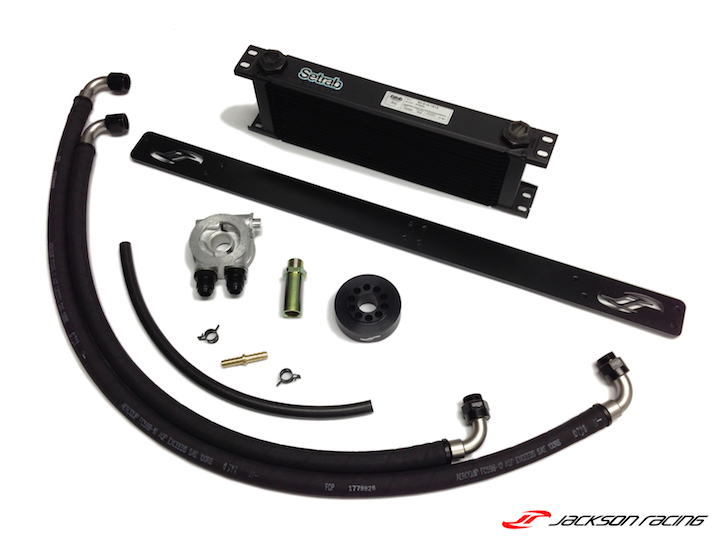 A: This Engine Oil Cooler Kit is specifically designed for use with a Naturally Aspirated FR-S/BRZ. 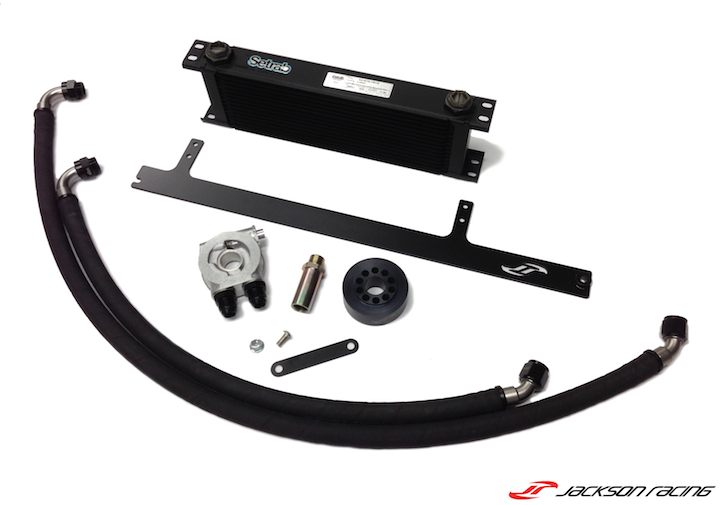 If you are looking to install an oil cooler for your Jackson Racing supercharged FR-S/BRZ, we recommend using our JRSC version of the Jackson Racing Engine Oil Cooler Kit. Yorba Linda, California (March 3rd, 2014) – The championship-winning performance experts at Jackson Racing are proud to announce their new Engine Oil Cooler Kit for the Scion FR-S & Subaru BRZ is now available from $697.45USD. 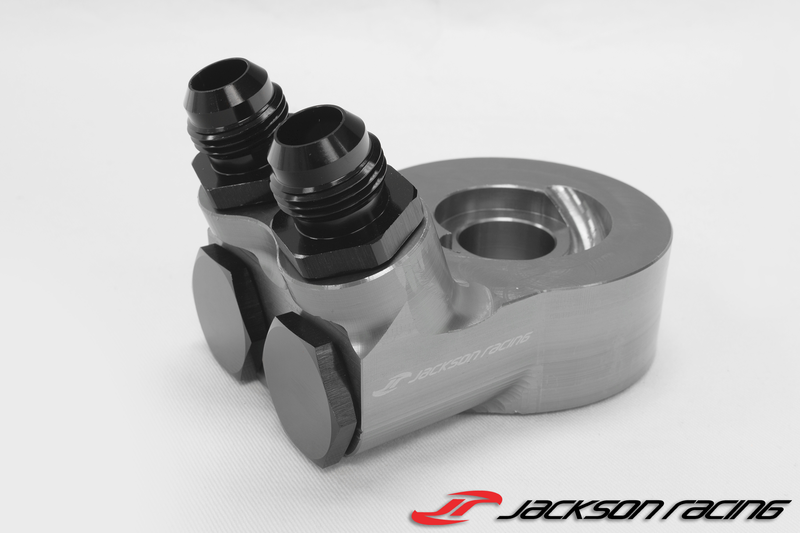 The Jackson Racing Engine Oil Cooler Kit was developed in-house and designed to bring optimal oil cooling to Jackson Racing supercharged FA20 engines. This kit has been put to the test on the street and track on the Jackson Racing FR-S test mule for thousands of miles, in the cold and the heat. The Jackson Racing Engine Oil Cooler Kit not only had to hold up to day to day driving, but also 100ºF track use by championship-winning racing drivers. We are proud to say this system works flawlessly, keeping oil temperatures below 240ºF on track, thus maintaining engine performance throughout on-track sessions. 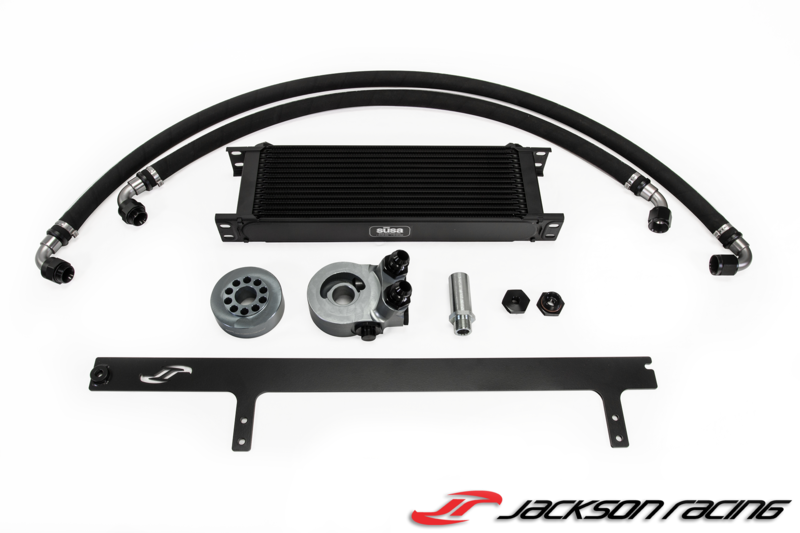 The Jackson Racing Engine Oil Cooler Kit utilizes the same quality engineered mounting system developed for the Jackson Racing supercharger system and uses factory-mounting locations, with no drilling/cutting needed. The Dual Oil Cooler mount system locates the Rotrex oil cooler and engine oil cooler side by side behind the Jackson Racing intercooler, integrating seamlessly with the Jackson Racing supercharger system. Q: Is this compatible with my naturally aspirated FR-S/BRZ? A: This Engine Oil Cooler Kit is specifically designed for use with the Jackson Racing Supercharger System. We will be releasing a Naturally Aspirated version of our Engine Oil Cooler Kit shortly.